Sponsored by New Balance. 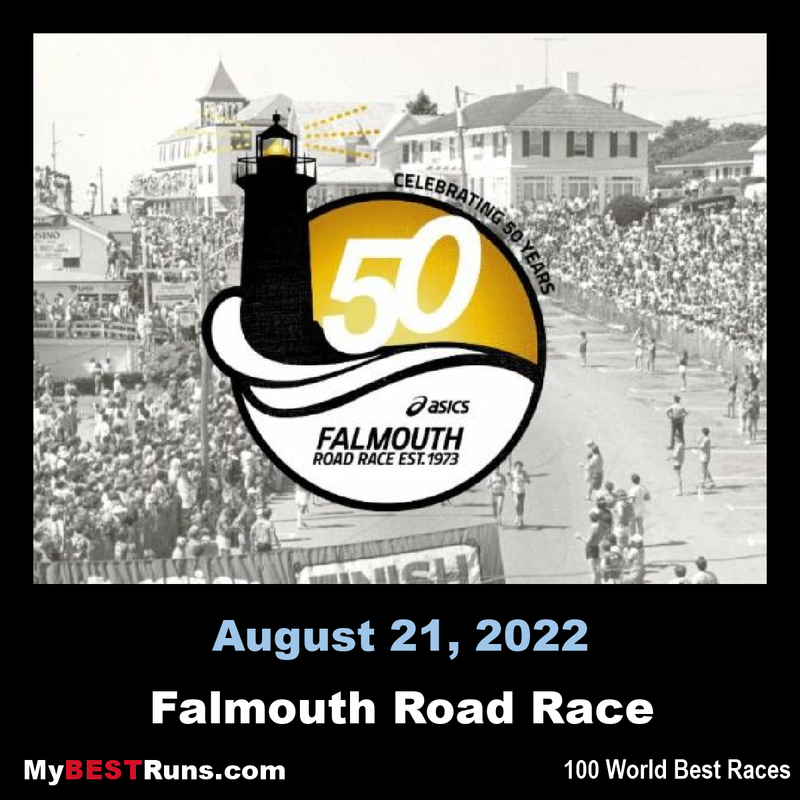 The little race that could belongs to Falmouth. It was first held on a Wednesday afternoon because that was founder Tommy Leonard's birthday. It is seven miles because that was the distance from the Captain Kidd in Woods Hole to Tommy's workplace: the Brothers Four in Falmouth Heights. Considered one of the most beautiful races on the East coast. In addition it is one of the smallest races with running legends like Bill Rodgers, Frank Shorter, Joan Benoit, Meb Keflezighi showing up. Unfortunately it is very popular and hence, very difficult to get in and is based on a lottery. If you do make it, you will completely understand why it is one of my favorite races to run. I really like this race. I had heard about it for years but did not run it until 2012. I just loved everything about this race. The town is a cool little place. It was hot the year I ran but it was a five star experience! (2017) In the closest finish in New Balance Falmouth Road Race history, three-time defending champion Stephen Sambu of Kenya held off the USA’s Leonard Korir at the tape to become the first male runner ever to win this race four times. Both men were given the same time, 32:14. “It feels really good,” said Sambu, of the historic victory in what became a two-man race from around Mile 4. 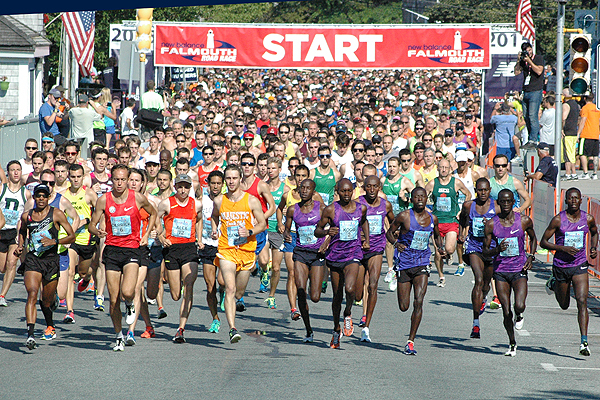 A field of 12,800 was entered for the 45th running of the race, which was founded in 1973 by Tommy Leonard. 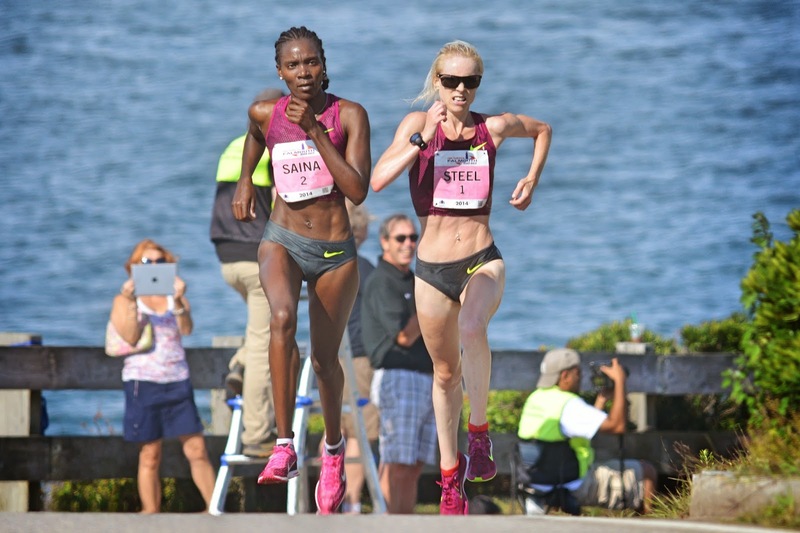 Also defending her title was Kenya’s Caroline Chepkoech, who had an easier time of it than Sambu: Her winning time of 35:53 put her a full minute ahead of runner-up Mary Wacera of Kenya (36:53), the widest margin of victory on the women’s side since 1982. Jess Tonn, sixth in 37:49, was first American. Sambu and Chepkoech each took home $10,000 for the win, with Chepkoech—for the second straight year—earning a $5000 bonus as winner of The Countdown, sponsored by Aetna. Chepkoech easily beat the clock and Sambu against a time gap of 4:33. The race is seven miles long and begins in front of the Woods Hole Community Center, near the drawbridge on Water Street. 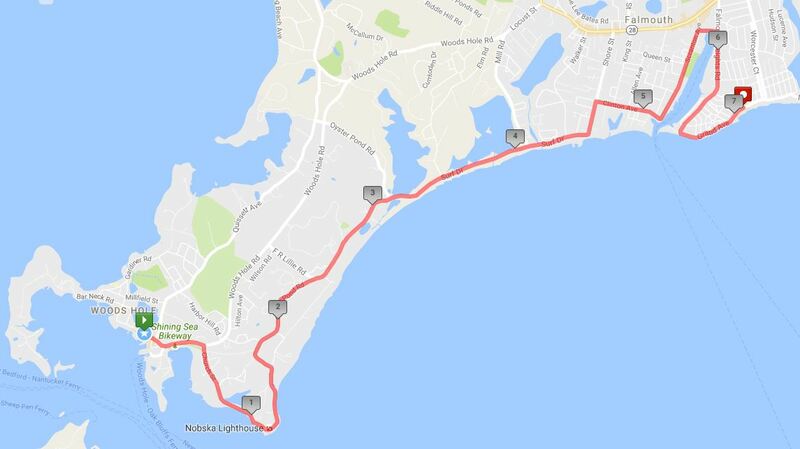 The first three miles are narrow, hilly, winding tree-shaded roads, while the last four miles are open on the flat right next to Martha’s Vineyard Sound. A small steep hill lets you know that you are beginning the last half-mile of the race. Once you crest the hill it is “all downhill” to the finish.